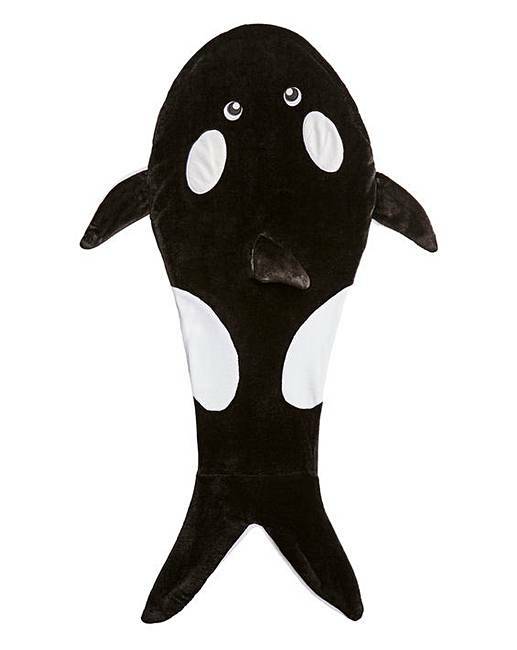 Orca Whale Supersoft Blanket is rated 4.5 out of 5 by 4. Rated 3 out of 5 by Sdenn85 from Great, but not great quality My boys love these, use them snuggled on the couch watching a film, only problem is their are a number of holes/rips in them as the seams just keep coming undone, luckily I can see. Rated 5 out of 5 by Frin from Super soft I bought two for my grandsons for Christmas. They are so soft and cosy. I can see them having lots of fun playing walk the plank from their bunk bed as,well as snuggling up to watch a film in them.